健康是無價寶! •其實, 關健在於預防, 預防勝於治療! 預防要從現在開始. ---摘自 雷.D.斯全德醫生的<<別讓不懂營養學的醫生害了你>> (What Your Doctor Doesn’t Know About Nutritional Medicine May Be Killing You), 紐約時報最佳健康暢銷書. 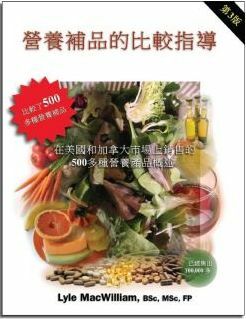 於北美營養品評鑒權威<<營養補品的比較指導>>( Comparative Guide to Nutritional Supplement, http://www.comparativeguide.com）中名列第一：在超過五百種最好的健康營養產品當中,USANA優莎納以高達96.1分高據專業評鑒榜首.